Festive Crochet Christmas Stockings - Free Pattern! 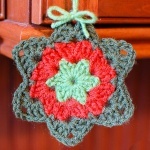 Home » Patterns » Festive Crochet Christmas Stockings – Free Pattern! Festive Crochet Christmas Stockings – Free Pattern! Perfect for your Yuletide decorating! 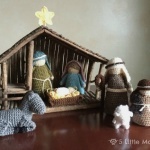 This is a wonderful project for Christmas. These traditional symbols of the season are often a knitting project but here you can get that same wonderful, handmade effect with crochet! Whether your planning ahead for the season — even looking for a Christmas in July project! — or want a last-minute gift, these beautiful Christmas stockings just might be ideal for your needs. Yes, indeed whether it’s your fireplace or that of your recipient, you’ll know those stockings will be hung by the chimney with the utmost care! This beautiful pattern is free! It’s the “Snowflake Stockings” pattern by designer Kinga of My Hobby Is Crochet. You’ll find the written pattern along with photos to guide you to success from start to finish.